For decades Barry Manilow gave the world timeless hits, while keeping his own world a total secret. Now at 73 years old, the music legend is opening up about his life, struggles and, for the first time, his sexuality. Indeed, Manilow’s personal life took a backseat as he pursued a career in music, writing jingles to pay the bills (State Farm, Band-Aid and others still use them today) and in 1971, taking a gig arranging music for and accompanying a young Bette Midler at the gay hotspot the Continental Baths. He produced the diva’s first two albums and when her career took off, his followed suit. Soon after, Kief became Manilow’s manager, a role he still holds today, in addition to being President of Barry Manilow Productions. “He’s the smartest person I’ve ever met in my life — and a great guy, too,” Manilow says. And the couple has stayed together for 39 years, all while remaining mum on his sexuality — an open secret to some in his long-devoted, mostly female fan base, a shock to others — and even stepping out and living with once-rumored love interest Linda Allen during his relationship with Kief. Manilow,who will release his new album This Is My Town: Songs of New York on April 21, admits he’s always been hesitant to discuss the relationship — and to come out publicly, even after he finally married Kief in a clandestine ceremony at their 53-acre Palm Springs estate in April 2014. 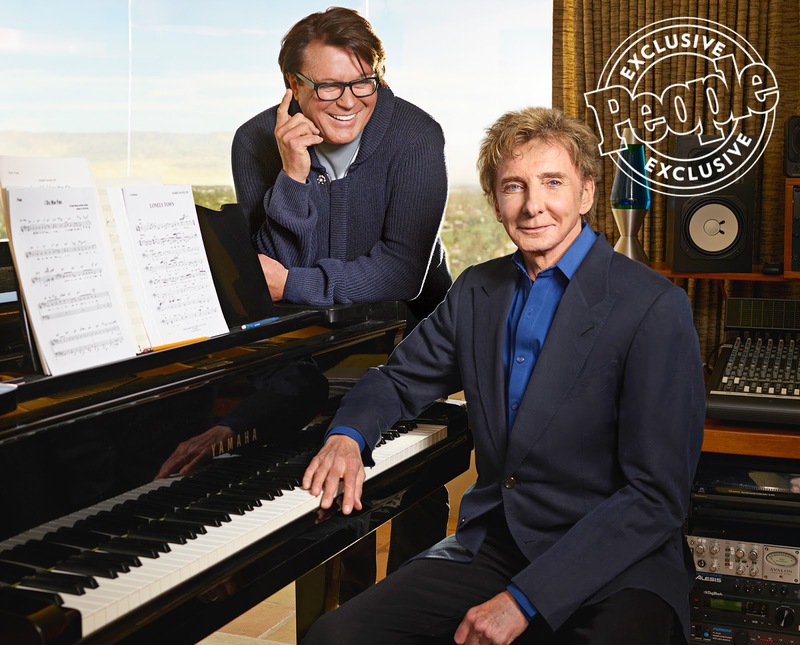 After years of keeping his private life to himself, Barry Manilow has decided to open up about his sexuality and discuss his nearly 40-year romance with his manager husband Garry Kief. “I thought I would be disappointing them if they knew I was gay. So I never did anything,” Manilow, 73, revealed to People. But Manilow’s loyal fans were very supportive, he revealed. He said he knew he’d met the right person when he first started dating Kief in 1978. He said he has always been a private person. He quietly married Kief in a ceremony at their home in April of 2014. Manilow also spoke to People about his first marriage to Susan Deixler, his high school sweetheart whom he married right after graduation. Their union lasted just one year. The singer Barry Manilow has said publicly that he is gay after keeping his sexuality secret for decades for fear of “disappointing his fans”. The music veteran, whose hits include Looks Like We Made It and Copacabana, also confirmed that he has been in a relationship with a man for 39 years. It is the first time he has spoken openly about his sexuality. Rumours of a marriage between Manilow and Kief surfaced two years ago, but the pair never commented on the reports. The singer said the speculation had been a “blessing and a curse”. Manilow said he was overjoyed by the reaction from fans around the world. “I thought I would be disappointing them if they knew I was gay. So I never did anything. When they found out that Garry and I were together, they were so happy. The reaction was so beautiful – strangers commenting, ‘Great for you!’ I’m just so grateful for it,” he added. Soon afterwards, Kief became Manilow’s manager and president of Barry Manilow Productions – roles he still holds today. “He’s the smartest person I’ve ever met in my life, and a great guy, too,” Manilow said. The news has been welcomed by fans and celebrities, with Manilow trending on Twitter and Facebook as many made puns and wondered how their mums were coping. “So all this time, Barry Manilow was singing about Andy,” one user wrote. “Not quite sure how I’m gonna tell my mum that Barry Manilow is gay,” said another. George Takei, the gay actor best known for his work in the Star Trek television series, was one of the first stars to react to the news on Twitter. “Congratulations @BarryManilow on coming out! Welcome to the club,” he wrote, adding the hashtag #NeverTooLate. Manilow was briefly married to his high school sweetheart, Susan Deixler, while he was studying at the New York College of Music. The singer has said he was in love with her but was “not ready for marriage”. “I was out making music every night, sowing my wild oats,” Manilow is quoted as saying. “I wasn’t ready to settle down.” In his 1987 autobiography, Sweet Life, he made a fleeting reference to his ex-wife, but did not name her. He described her as “adorable, small with great legs and a voluptuous figure”. Manilow did not explain why he had chosen this moment to come out publicly, but his 29th studio album, This Is My Town, is due to be released on 21 April. 0 Response to "Barry Manilow Reveals Why He Didn’t Come Out for Decades: I Thought I Would ‘Disappoint’ Fans If They Knew I Was Gay"